What is a Haircut (in finance)? 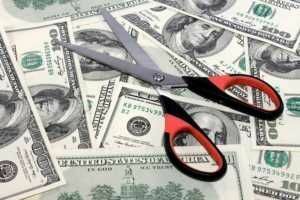 In finance, a haircut refers to the reduction applied to the value of an asset for the purpose of calculating the capital requirementNet Working CapitalNet Working Capital (NWC) is the difference between a company's current assets (net of cash) and current liabilities (net of debt) on its balance sheet. It is a measure of a company’s liquidity and its ability to meet short-term obligations as well as fund operations of the business. The ideal position is to, margin, and collateralTangible AssetsTangible assets are assets with a physical form and that hold value. Examples include property, plant, and equipment. Tangible assets are seen or felt and can be destroyed by fire, natural disaster, or an accident. Intangible assets, on the other hand, lack a physical form and consist of things such as intellectual propertyr level. In other words, it is the difference between the amount of loan given and the market valueMarket CapitalizationMarket Capitalization (Market Cap) is the most recent market value of a company’s outstanding shares. Market Cap is equal to the current share price multiplied by the number of shares outstanding. The investing community often uses the market capitalization value to rank companies of the asset to be used as collateral for the loan. The value reduction is expressed in the form of a percentage. A haircut can also be referred to as the complement of the loan-to-value ratio (when added together, they make 100%). For example, when central banks lend money to commercial banks, the central bankFederal Reserve (the Fed)The Federal Reserve, more commonly referred to The Fed, is the central bank of the United States of America and is hence the supreme financial authority behind the world’s largest free market economy. asks for collateral. However, it will apply a haircut – a reduction in the value of the collateral. Let’s say, an asset worth $1 million at market price, given a haircut of 30%, would be sufficient to collateralize a loan of only $700,000. By devaluing the assets provided as collateral, the lender gets a cushion, a measure of risk protection to defend against market value drops. The level of haircut is decided by the level of risk surrounding the loan. The level of risk includes all factors that may result in a fall in the market value of the collateral. Some variables that influence the amount of haircut include interest rate, creditworthiness, and the collateral’s liquidity. A haircut can also be referred to as the difference between the buying and selling price of a stock share, bond, futures or options contract, or any other financial instrument. The difference is generally the handling fee for the transaction. In common financial jargon, a haircut is also used to describe a financial loss on an investment. To “take a haircut” corresponds to accepting or receiving less than what was owed. The lender needs to consider the amount of risk he would face in the event of not being able to sell the asset (collateral) for a sufficient amount of money in case of default by the borrower. If the price of the asset is predictable, or there are less potential risks associated with it, the haircut will be lower. This is because the lender can be more certain that the loan can be recovered if they must liquidate the collateral. For example, government securities dealers commonly use T-bills for collateral when making overnight borrowing deals (repurchase agreements). In cases like this, the haircut is negligible because of the high level of certainty regarding the aforementioned risks associated with T-bills. On the other hand, when used as collateral, securities whose prices are highly volatile tend to have high haircuts. The amount of haircut also depends on how liquid the collateral is. If the asset is highly liquid, then it will be easy to sell it quickly without any loss of value. Hence, a smaller reduction will be imposed. An asset which is much harder to sell for fair market value will carry a larger haircut. Government bonds are safe and liquid instruments. Hence, they carry a much smaller haircut as compared to other financial instruments. Haircuts play an important role in facilitating many kinds of trades, such as repurchase agreements and reverse repurchase agreements. Marginal RevenueMarginal RevenueMarginal Revenue is the revenue that is gained from the sale of an additional unit. It is the revenue that a company can generate for each additional unit sold; there is a marginal cost attached to it, which is to be accounted for.